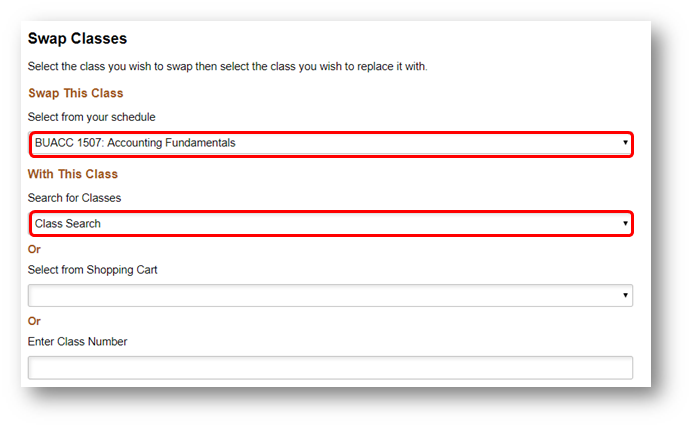 Swapping a Class is useful for dropping one class in place of another as the system will hold your place in the first class until you are successfully enrolled in the second class. Theses steps will show how to swap one class for another; essentially dropping one and adding another all in one go. Please note this can only be completed by Higher Education students. 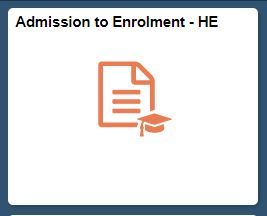 Select the Admission to Enrolment - HE tile. Select the Enrolment: Swap Classes from the menu. There are three methods to swap a class. First, select your class from your schedule (first drop down menu). 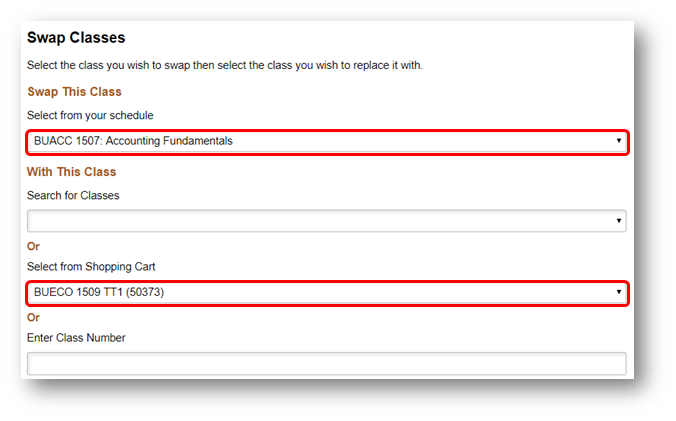 Select the class to swap with in your Shopping cart (third drop down menu). 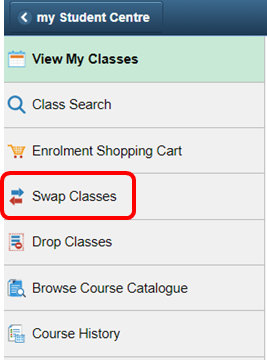 Review class swap details and click on the Next button. Click on the > button. Click Submit to confirm to swap. 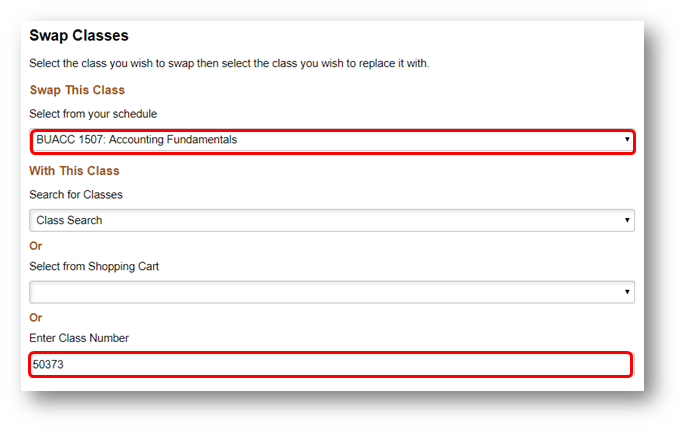 Select the class from your schedule to swap. 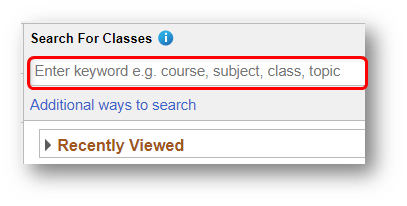 Type in keywords or view recently viewed classes. Once you have located the class click on >. Select the class from your schedule, enter the Class number. 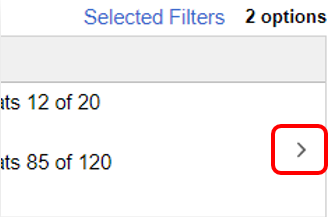 Select the class to swap with by clicking on the > button. If you receive an error or would like assistance you can access Support once logged in to my Student Centre or contact Student HQ 1800 FED UNI (1800 333 864).